This client ordered 2 sets of Q-Digital drawings at one go. 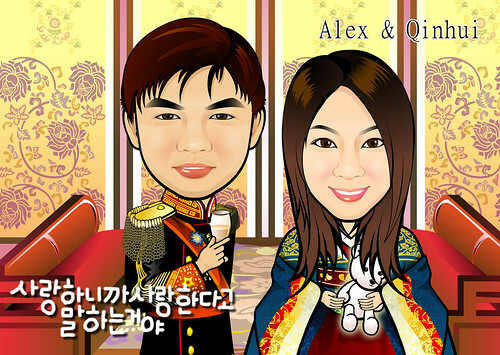 Above is the Korean theme. 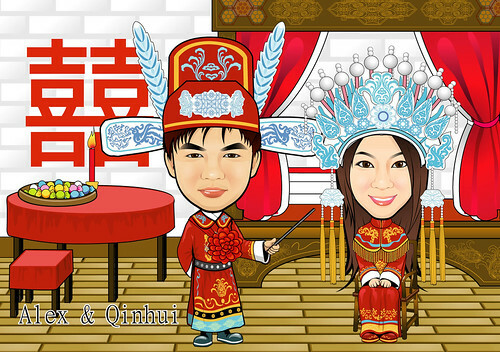 And this - all time favourite - traditional Chinese wedding theme.